-- Select a Size/Color -- Teacup X-Small Small - Out of Stock! Medium - Out of Stock! Large X-Large - Out of Stock! Your pup will be ready for the holidays with the Menorah Hanukkah Dog Tank by Daisy and Lucy in Turquoise. 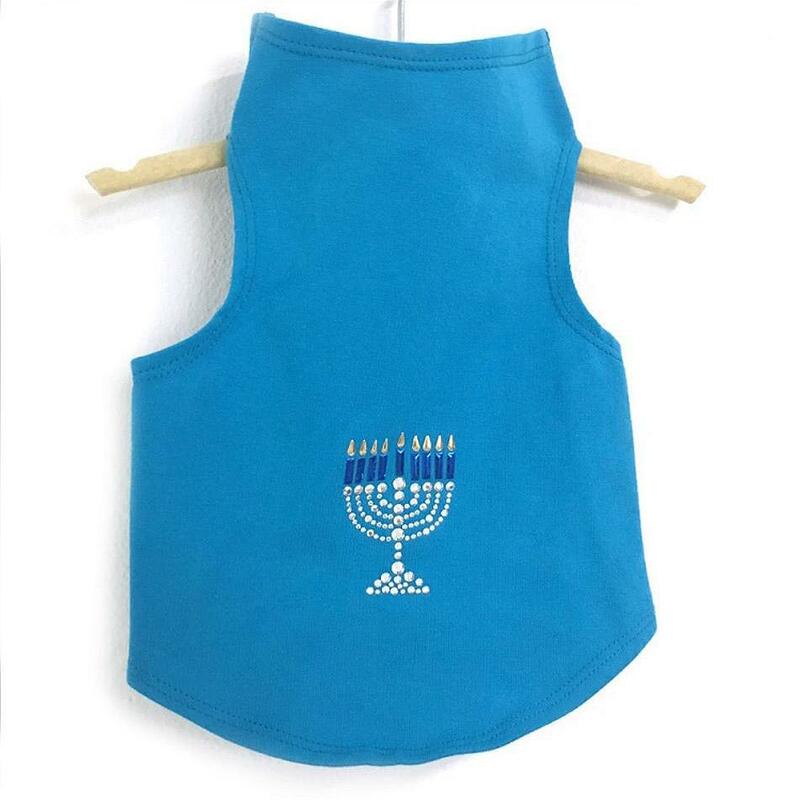 Your pup will be ready for the holidays when wearing this adorable Menorah Hanukkah Dog Tank by Daisy and Lucy in Turquoise. This comfortable dog tank has a stylish menorah applique with rhinestones and studs. A high cut belly will keep your pup clean and happy. Made of 93% cotton and 7% Lycra. Care: Hand wash in cold, then air dry.